November 19th 2018, the UN Deputy Secretary-General Mr. Liu Zhenmin met with the President of Home and Abroad News Press Mrs. Wei Yan at the UN World Geographic Information Conference. 2018: We are standing at the forefront of the world media with the "China Dream" to promote our “News Diplomacy” with positive momentum. Home and Abroad News Press, as an international mainstream media, takes great responsibility to promote a real China to the Western countries with other foreign influential media. 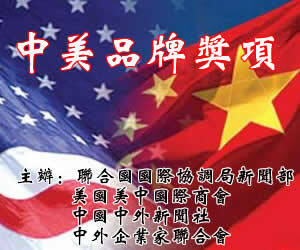 In order to jointly build a platform for cooperation between China and the United States in the fields of culture, film and television, and through friendly consultations, the USA Hollywood Wardour Studios and Home and Abroad News Press have formed a “strategic partnership”. On June 16th, 2018, the President of Home and Abroad News Press Mrs. Wei Yan signed a letter of appointment to appoint Mr. Stephen Nia, the CEO of Hollywood Wardour Studios and the Chairman of the World Film Institute (WFI), as the Honorary President of Home and Abroad News Press Los Angeles (Hollywood) branch. Mr. Stephen Niagara said: “We are very confident that we can work together with Home and Abroad News Press to promote cooperation and development in the news documentary field to show a real China to the world. 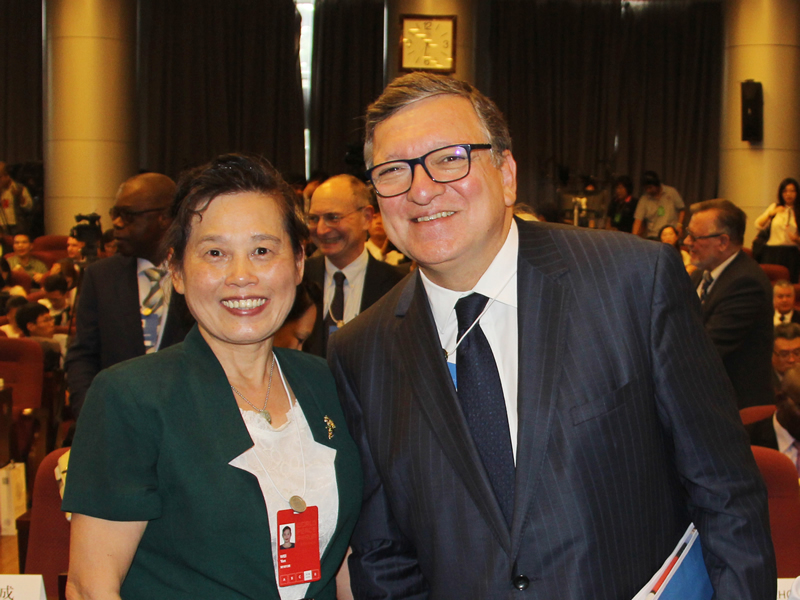 July 14th 2018, the President of Home and Abroad News Press Mrs. Wei Yan and the former President of the European Commission Mr. Jose Manuel Durao Barroso attended the World Peace Forum. The Ambassador of Slovakia to China, H.E. 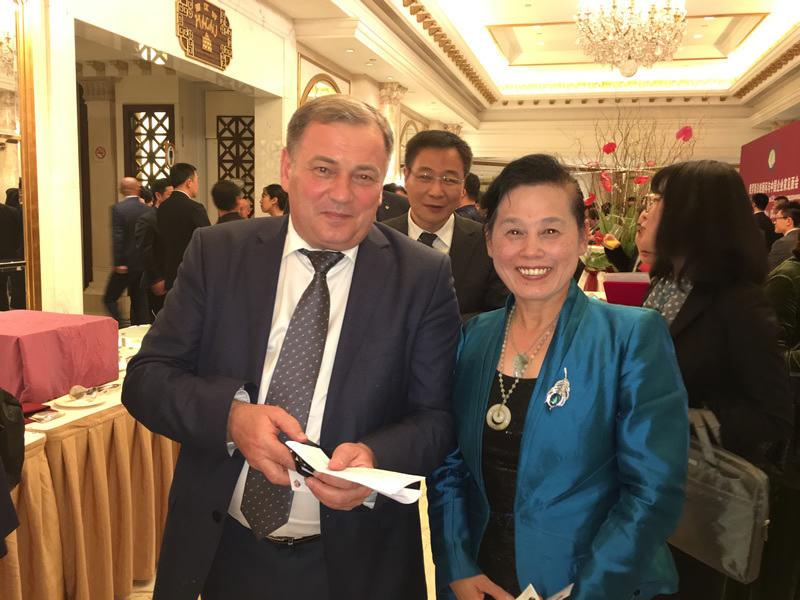 Mr. Dusan Bella, the Ambassador of Albania to China, H.E. Mr. Selim Belortaja, the Ambassador of Mexico to China, H.E. Mr. Jose Luis Bernal, the Ambassador of Laos to China, H.E. 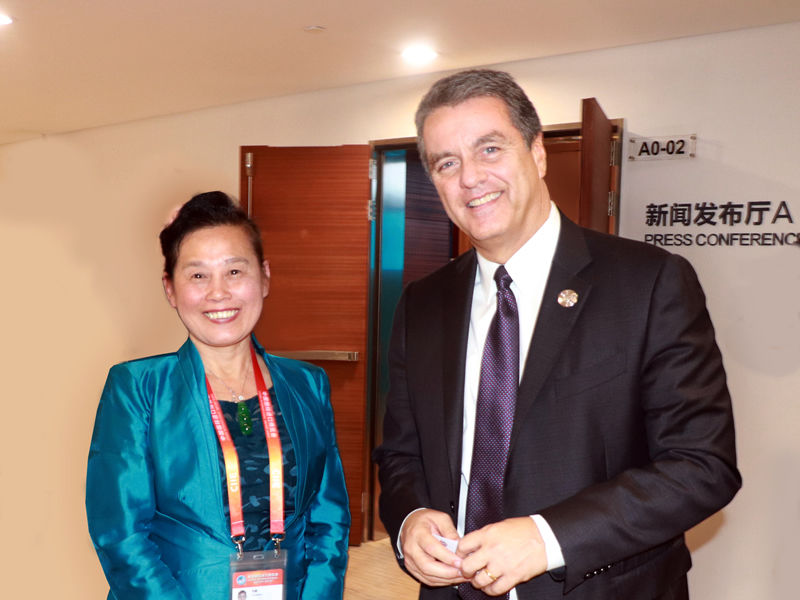 Mrs. Vandy Bouthasavong, the Ambassador of Bolivia to China, H.E. Mr. Heriberto Quispe Charca, the Ambassador of Armenia to China, H.E. Mr. Sergey Manasaryan, the Ambassador of Georgia to China, H.E. Mr. David Aptsiauri, the Ambassador of Bulgaria to China, H.E. Mr. Grigor Porozhanov, the Ambassador of Benin to China, H.E. Mr. Simon P. Adovelande, the Ambassador of Myanmar to China, H.E. 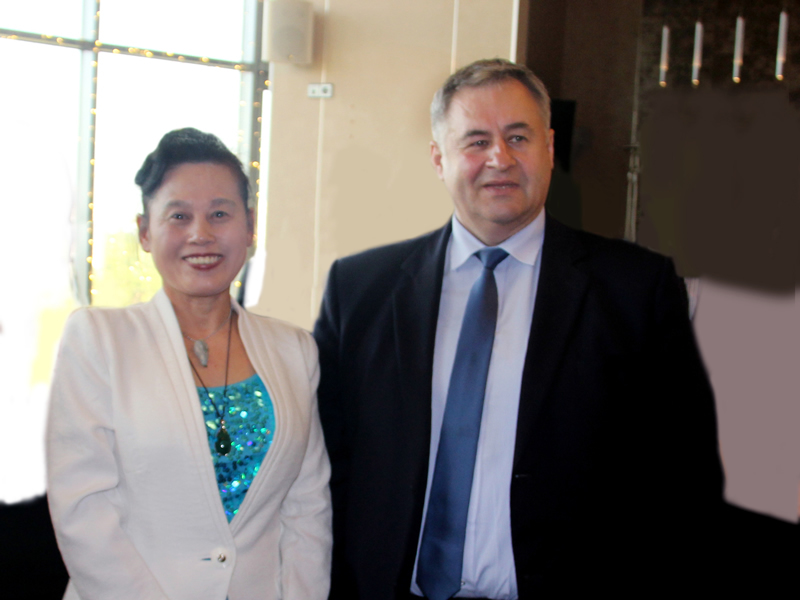 Mr. Thit Linn Ohn, the Ambassador of Malta to China, H.E. Mr. John Aquilina. 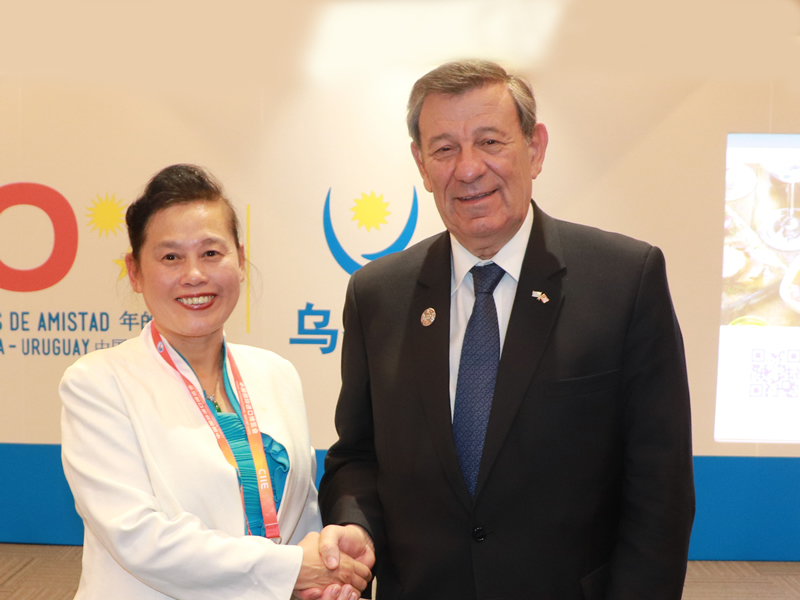 November 5th 2018, the President of Home and Abroad News Press Mrs. Wei Yan and the Director General of the World Trade Organization (WTO) Mr. Roberto Azevêdo attended the first China International Import Expo. 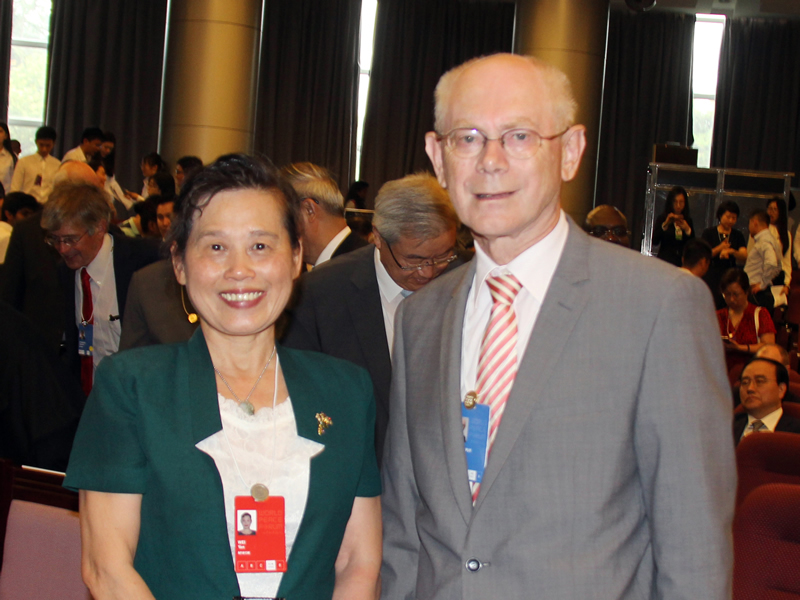 July 14th 2018, the President of Home and Abroad News Press Mrs. Wei Yan and the President of the European Council, the Belgian Prime Minister and EPC Chairman Mr. Herman Van Rompuy attended the World Peace Forum. On June 12, 2018, Home and Abroad News Press hosted a cooperation symposium for the Western African countries in the International Conference Hall of the Kuntai Jiahua Hotel in Beijing. The Ambassador of Benin to China H.E. Mr. Simon Pierre Adovelande, the Ambassador of Côte d'Ivoire to China H.E. Mr. Adama Dosso, the Ambassador of Senegal to China H.E. Mr. Mamadou Ndiaye, the Ambassador of Mali to China H.E. Mr. Lansina Kone, the Ambassador of Niger to China H.E. Mr. Inoussa Moustapha, the Ambassador of Togo to China H.E. Mr. Kodjovi Bessa Messangan, the Ambassador of Guinea-Bissau to China H.E. Mr. Malam Sambu and some business counselors attended the meeting. The delegation head of the Western African Union and the Ambassador to Mali to China H.E. Mr. Lansina Kone said that the cultural differences should not be an obstacle to our cooperation because mutual development has no national boundaries. As ambassadors, we come not only for politics but also for our future economy. Under the background of profound and complicated changes in the international community, China-Africa friendly cooperation has great meanings and influences. Mrs. Wei Yan said: In September 2018, we will take the China-Africa Cooperation Forum as an opportunity to expand our cooperation, achieve more win-win deals and create positive energy into world peace, stability and development. May 16th 2018, the founding father and the first President of Mongolia H.E. Mr. Punsalmaagiyn Ochirbat, presented the National Medal to the President of Home and Abroad News Press Mrs. Wei Yan. May 4th 2018, the former Prime Minister of the Belarus, Mr. Mikhail Uladzimiravich Myasnikovich, met with the President of Home and Abroad News Press Mrs. Wei Yan in Minsk, Belarus. 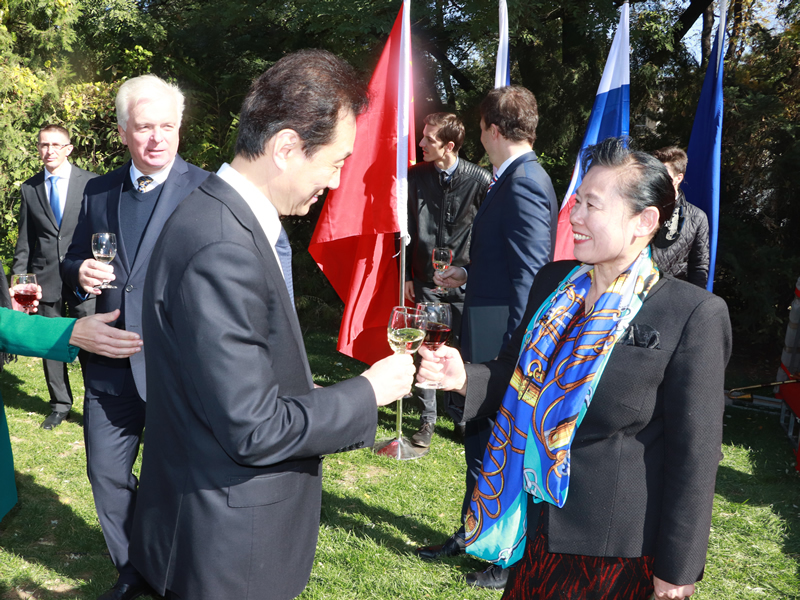 October 26th 2018, Chinese Vice Foreign Minister Wang Chao and the President of Home and Abroad News Press Mrs. Wei Yan attended the celebration of the 100th anniversary of the founding of the former Czechoslovak Republic. May 2nd 2018, the Belarusian Minister of Industry Mr. Vitali Wolff met with the President of Home and Abroad News Press Mrs. Wei Yan in Minsk, Belarus. May 3rd, 2018, the Belarusian Minister of Telecommunications and Informatization Mr. Sergey Popkov met with the President of Home and Abroad News Press Mrs. Wei Yan in Minsk, Belarus. September 18th 2018, the President of Home and Abroad News Press Mrs. Wei Yan congratulated Malta Foreign Minister Carmelo Abela on his successful visit to China with fruitful results. September 7th 2018, the President of Home and Abroad News Press Mrs. Wei Yan and the Minister of Finance of Namibia Mr. Calle Hermann Schlettwein attended the opening ceremony of the 4th Forum on Africa Investment. November 20th 2018, the President of Home and Abroad News Press Mrs. Wei Yan and the Minister of Urban Planning of Niger Mr. Maman Waziri attended the Ministerial Dialogue of the United Nations World Geographic Information Conference. 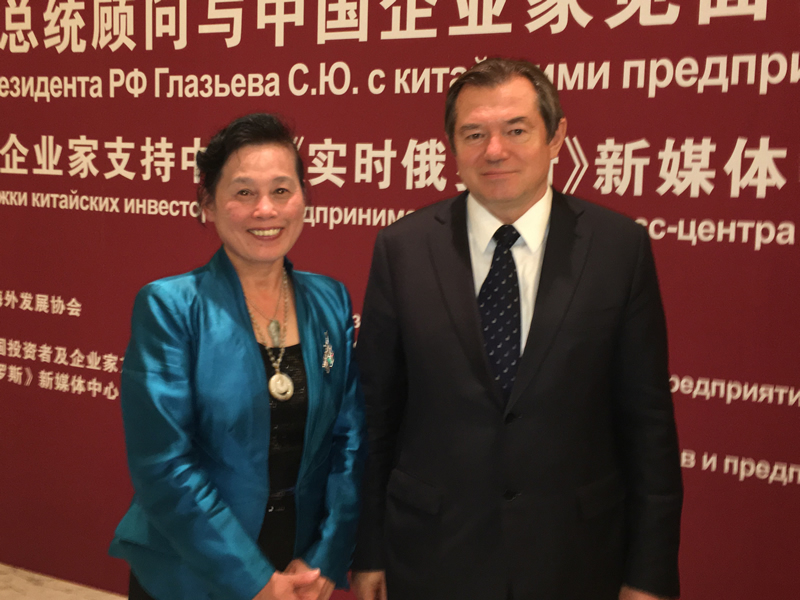 April 18th 2018, the First Deputy Minister of Agriculture of Russia, Gromyko Evgeny Vasilyevich, and the President of Home and Abroad News Press Mrs. Wei Yan attended the opening ceremony of the Russian New Media Center. The core of media diplomacy needs to have a sensitive political mind to show their influence through the various media so that we can ultimately maximize the national interest.